Covering 9.6 hectares, the AEON MALL Long Bien has a total investment capital of 200 million USD with a total leasable area of around 110,000 square metres. 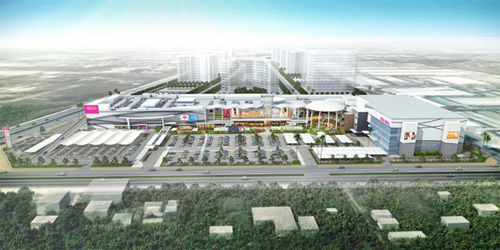 The Hanoi shopping centre is the third instalment of Japan’s single-largest shopping mall developer and operator in Vietnam. 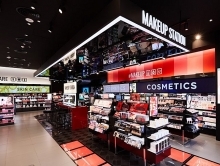 It is expected to offer new shopping experiences and advocate new lifestyles for local residents in Hanoi, contributing to boosting investment and business in the city. Addressing the inaugurating ceremony, Chairman of the municipal People’s Committee Nguyen The Thao appreciated the cooperation and contribution of Japanese investors in general and the AEON Group in particular. 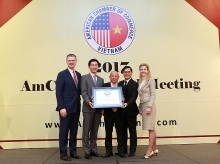 The city pledged to create favourable conditions for investors to do business effectively, contributing to making Hanoi a safe destination for investment. Hanoi is currently home to 721 foreign direct investment (FDI) projects from Japan with total registered investments of over 4.7 billion USD. As many as 23 Japanese official development assistance (ODA) projects worth 2.9 billion USD have been implemented in the city./.